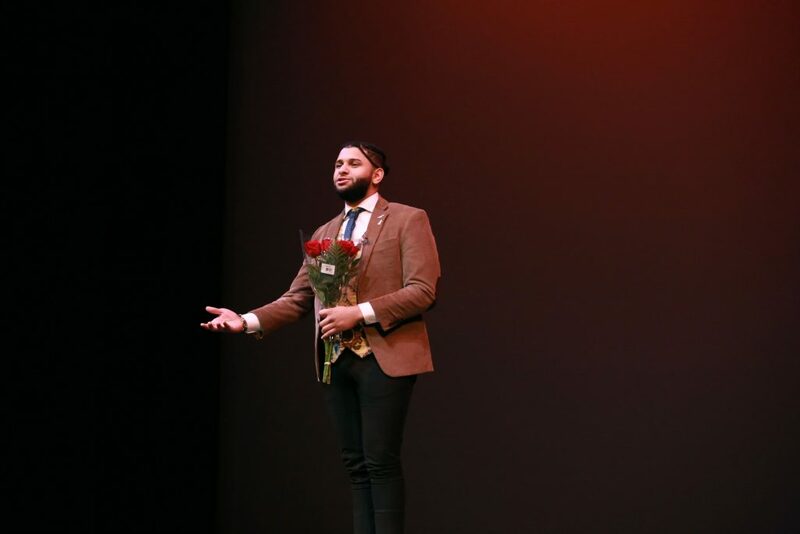 We followed up with Joshua Gonzalez, the Student Association vice president for multicultural affairs (VPMA) and a senior majoring in geography, after an event-packed weekend to gain more perspective on his position. PRISM: What are you proud of that you’ve accomplished as VPMA? Joshua Gonzalez: The initial thing that I’m proud of is that I was able to hire such a good team and create positions for the office. One problem with the office before was that it had no structure, and I gave it structure. I added a programming coordinator, liaison to PRISM, an external officer, a treasurer, public relations chair and three interns. I don’t even like to call them my assistants or anything, but more like my team members because we’re a team here. I like to let them lead sometimes, have their own projects — when they need help, I help them when they ask. I always tell them I’m a resource for them if they need anything. I have members of my office attend other office and committee meetings for me. I think it’s actually humanly impossible for one VPMA to go to all these meetings. P: What do you wish that you did more as VPMA? JG: I wish that I was able to focus on my mental health campaign. I wanted to encourage the administration to get more money to get diverse resources in the [University Counseling Center]. I am working on it now and I’m going to hand off to [incoming VPMA Andy Jean-Baptiste, a junior double-majoring in economics and philosophy, politics and law]. Unfortunately I had to focus on the VPMA council getting people into committees. P: What have you learned as VPMA? JG: I’ve learned better mentoring skills, how to raise stronger leaders, how to conduct conflict management and not just conflict resolution. I learned how to be a better public speaker, be more careful with my words and more inclusive with my language. I also learned that this position is hard and it can sometimes feel unfair. P: How do you de-stress? JG: I do normal things. I play video games — that’s my favorite thing. Me and and my housemates are close, we’ve lived together for years. Back in the day there used to be something called a land party, which is like you’ll sit down and have all your TVs in the living room and then you’ll connect them using a wire, but obviously we have WiFi now. We still call them a land party but we sit down, we put our Xboxes around and our TVs in the living room and just all play video games for a few hours. I like to draw, dance, go out with friends, go to events. I go to counseling. P: What are a few tips to being a leader on campus? JG: The first step is learning how to be self-aware. A lot of people don’t know their own faults, so being self-aware is learning where you could do better as a leader and individual. Knowing your own faults and working on them, constantly editing yourself — you’re just one big essay that’s constantly being written. Another point is learning how to sometimes step back from leadership roles, letting other individuals lead as well. That’s how you get more diverse ideas, that’s how you foster a better environment for your team. A third great strategy is to never stop creating, always be creative, always have ideas, be versatile, be a jack-of-all-trades and a master of none. PRISM has edited this interview for length and clarity.